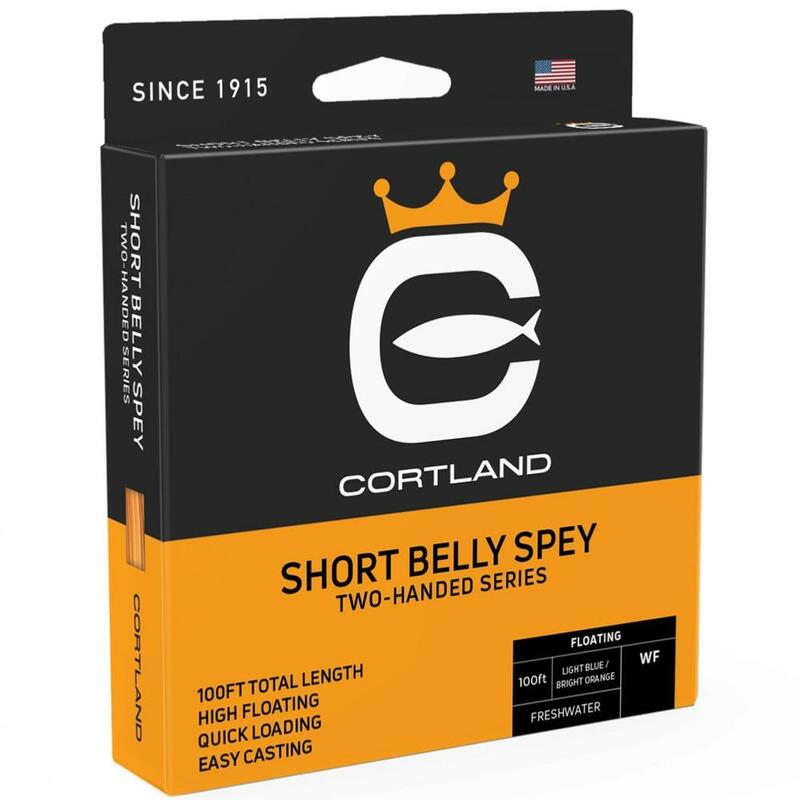 Cortland Short Belly Spey Fly Line Rated for 11ft to 13ft Spey rods, and tapered to effortlessly execute Spey, roll and overhead casts, Cortland's all-new 46' belly Spey line is the right choice for shorter "grilse” rods. 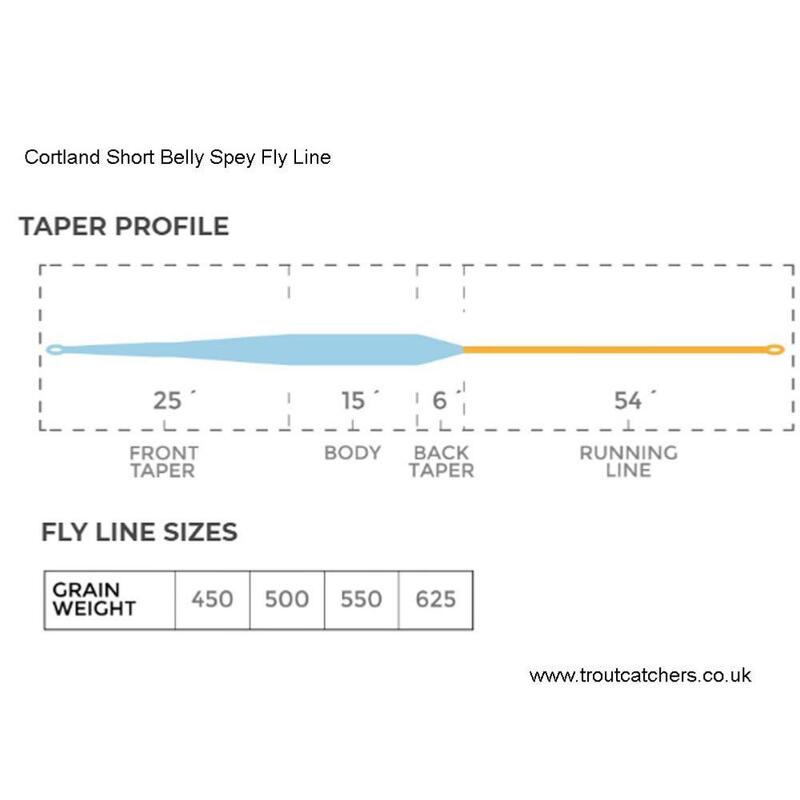 Cortland Short Belly Spey Fly Line The Spey cast is a thing of subtle beauty, and unlocking that beauty can be as straightforward as having the right fly line for your rod. 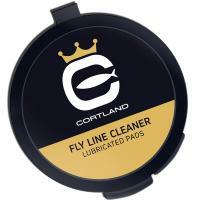 Cortland make it easy by rating their Precision Spey Salmon lines for both rod length and line weight. Of course that's not the only thing that makes them easy to cast. 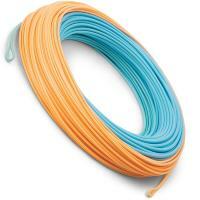 The heads are made with the supple, super-slick Precision® coating material for controlled D-loops and roll casting. 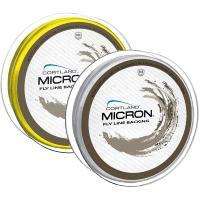 The running lines are formulated with Cortland's harder, stiffer new PST™ coating for maximum shootability. Cortland Belly Spey Fly Lines come with a choice; Short Spey, Rated for 11ft to 13ft Spey rods. 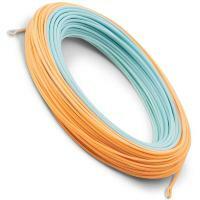 Medium Spey Rated for 12' to 13' Spey rods. 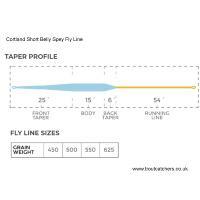 Long Spey Rated for 13' to 15' Spey rods. 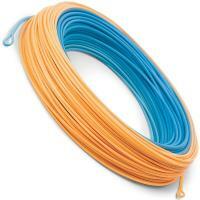 All feature dual welded loops and a two-colour head to easily identify the optimum loading point.